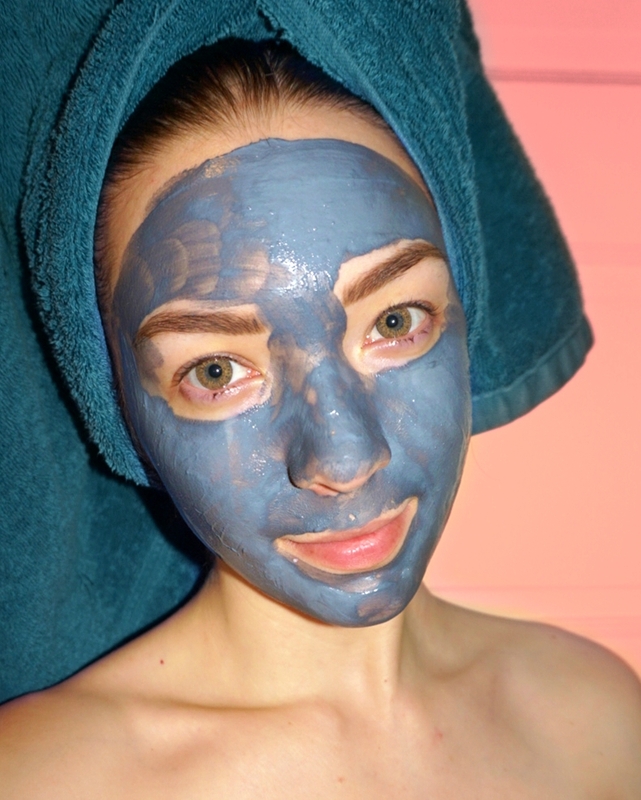 As the name suggests, I Dew Care Pure to the Pore Cleansing Volcanic Ash Clay Mask is a wash-off clay mask. Infused with volcanic ash and charcoal powder, this mask works like magic to not only cleanse the pores and absorb excess sebum but also to minimize the appearance of pores. The mask is housed in a cute little gray plastic jar which comes packaged in a gray box, which is just as cute as the jar. The mask itself has a creamy, almost bouncy like, texture that is super fun and easy to work with. To use, simply apply an even layer of the mask to the face or targeted are, let the mask fully dry (approximately 15 minutes) and rinse off the product to reveal fresh and clean looking skin. After trying out several different clay masks, one thing I found that I do not personally like about them is just how hard they are usually to remove. That is why I absolutely love the Pure to the Pore Clay Mask because, unlike all the other clay masks that I've tried in the past, this one washes off with absolute ease yet it still does what it claims to and it does it well. I typically used this mask once or twice a week, depending on how my skin feels and what other masks I've used during that particular week. I find this mask to have an overall fairly gentle formula, so I am sure that those with sensitive skin will have no problems using it.